I am a text-based artist. I use text; this will be confirmed by a quick inspection of this site’s galleries. 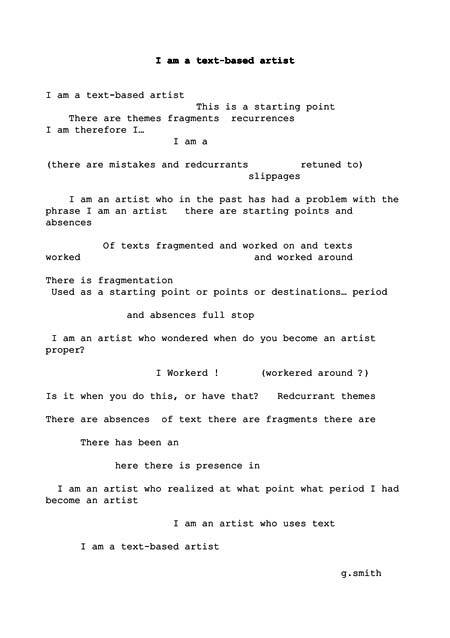 My work also tends to be based on texts, usually small fragments which I build upon. Occasionally, I get the urge to do something else and, sometimes, I even go along with it; this will also be confirmed by this website. There’s also the usual stuff like C.V. and links if you are interested. But most of this is text-based art.